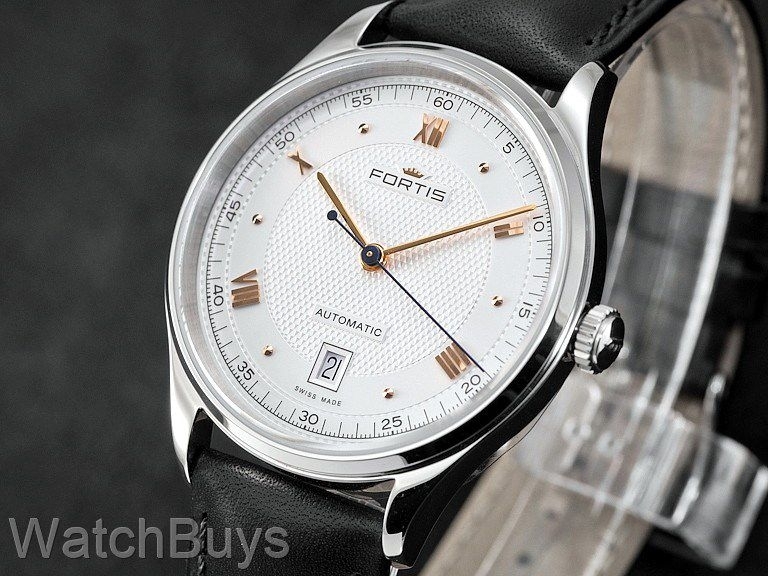 Offering sophistication without being pretentious, the Fortis Terrestis 19Fortis AM is classy and clean. Of course the standout feature of this watch is the dial. Fortis chose silver opaline, and used a pleated pattern with rose gold applied Roman numerals and indices to complete the look. 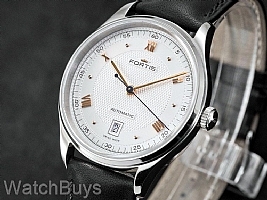 The Fortis Terrestis 19Fortis AM takes its name from classic Fortis designs of the 1940's - a clever play on words. 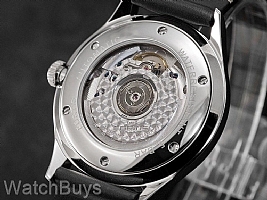 The AM in the name is used to reference the light dial. The Fortis Terrestis 19Fortis AM features a transparent case back revealing a highly decorated movement with perlage on the rotor and plates.